The girl knows fashion and mystery solving. You'll be solving mysteries in no time when you don the Scooby-Doo Daphne Costume, which includes: An orange character wig, light green scarf, magenta mini dress and bright pink boot tops. Standard Only. This is an officially licensed Scooby Doo costume. I ordered standard size which was good fitting. Dress length was above knee line - not as short as shown in picture. Scarf around neck was nowhere near as long as shown. 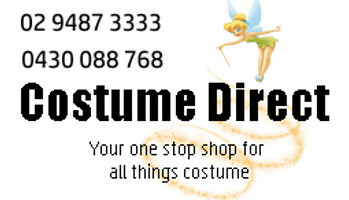 Service from Costume Direct was fabulous. Wig was true to picture - fringe a bit long for me.